So remember when I found this black headboard for $20 at a yard sale? 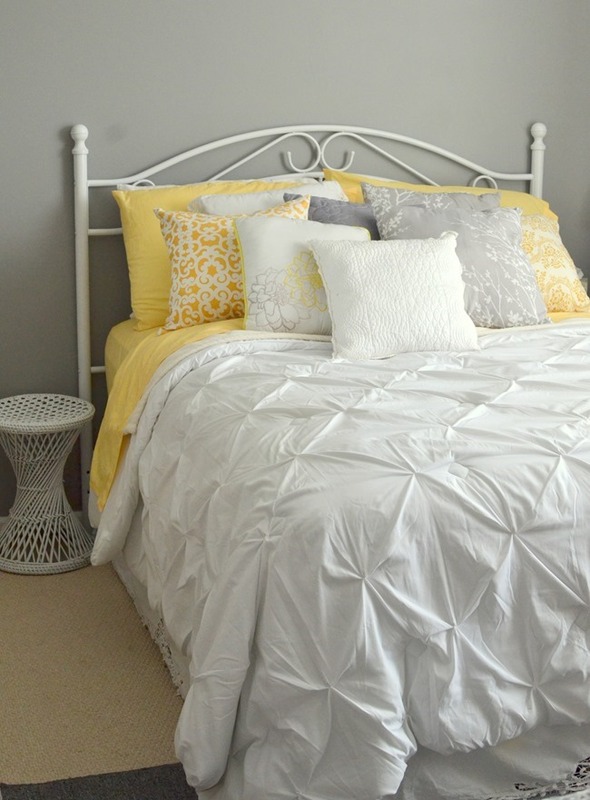 And spray painted it white to go in our guest room at our previous house? 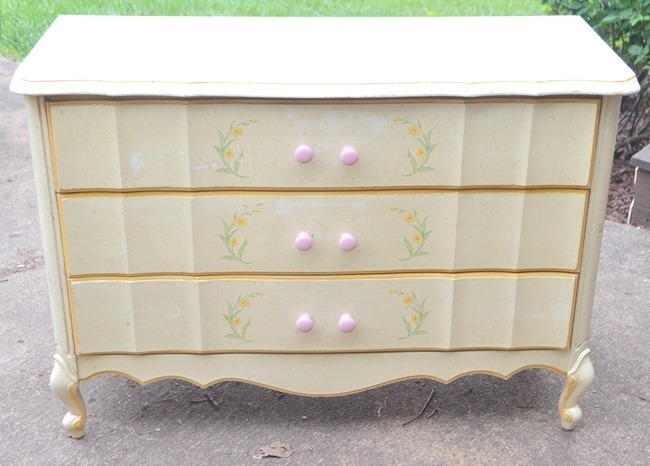 And I found this French Provincial dresser for $25 off a yard sale site…. 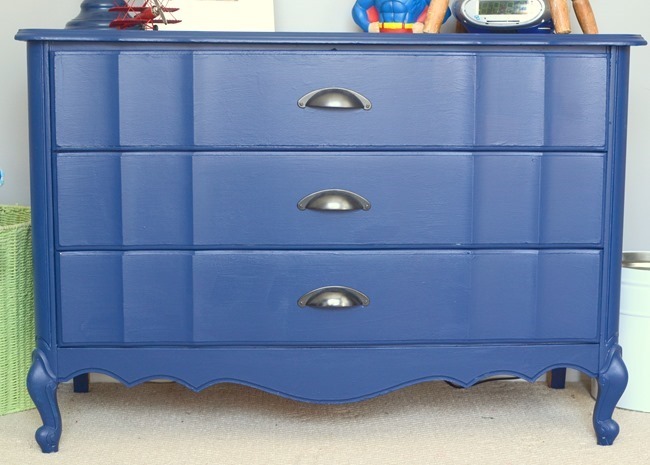 And painted it navy for our spare bedroom at our previous house? Well this is how they both look now! ? I really love how this looks now. The wall behind it will be changing in phase 2 of this room so don’t pay too much attention to the contrast or how it looks with the wall. It will really pop when I get phase 2 done. 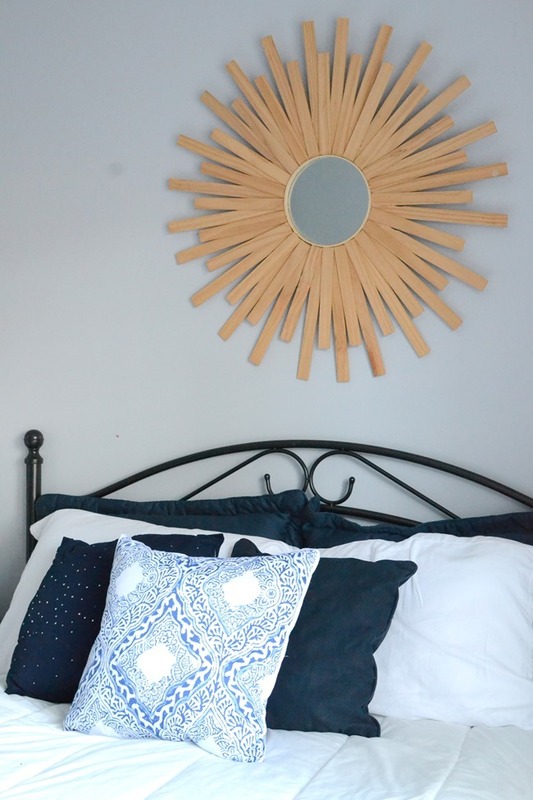 And the headboard that started out as black, then white, now has been spray painted Oil Rubbed Bronze (affiliate link). I’m going for an sort of a industrial farmhouse look for this room. 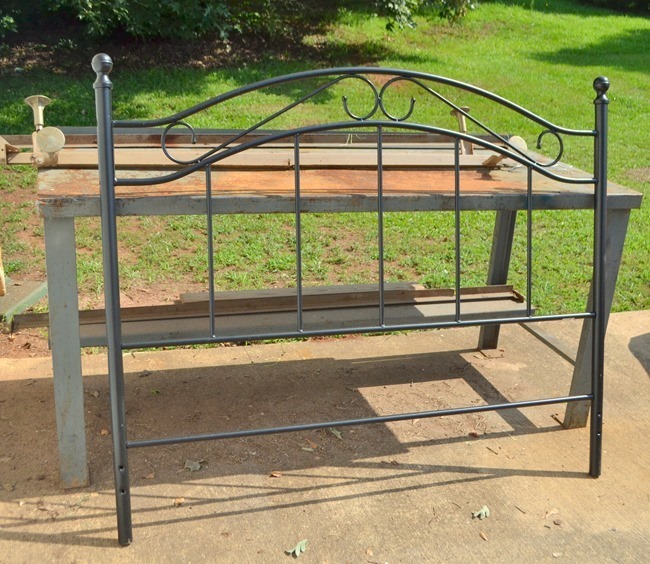 I would love an iron bed frame in here but until I find one for $20 at a yard sale 😉 I’m making this one work and look like it as much as possible. So yes my walls my have a few coats of paint on them and my furniture and accessories may too. It’s all about making things work and working with what you have- maybe while you wait or save for the perfect piece. Or maybe just because your life and home has changed and you are making things work in new rooms in a new home. Our guest room before was light and almost girly with all the white which was perfect because it served as my nieces room too. 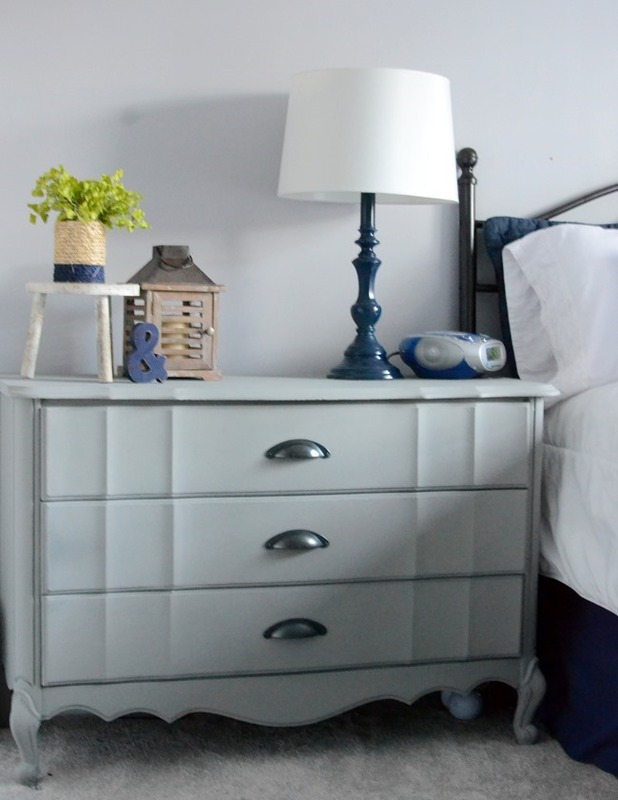 But with this home and the room arrangements it works better for the guest room to be the room my nephew uses so it will have a bit more of a masculine/industrial feel to it. 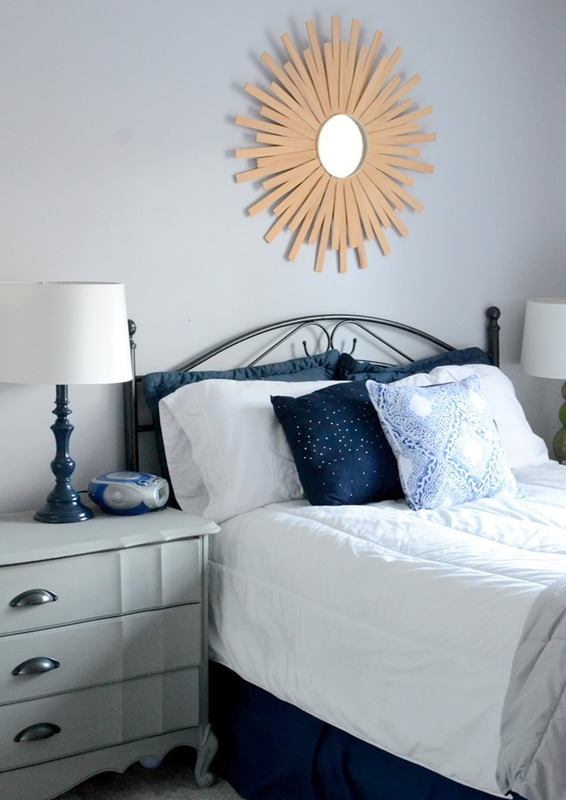 I hope to show you the completed phase 1 makeover of this room next week! You can see where I started from here until then. Very pretty. That’s onE thing I love about your blog, how show how to use what you have and find bargains. Love the industrial farmhouse idea you are going for! Just curious, I clicked on the link for the paint to see what you used, and it is $14.95 on Amazon!!! The same paint at Wal-Mart is $3.86. Why are some things on Amazon ridiculously higher than other places? Not the first time I’ve noticed that.